Memory care units in assisted living facilities often have setups like this. 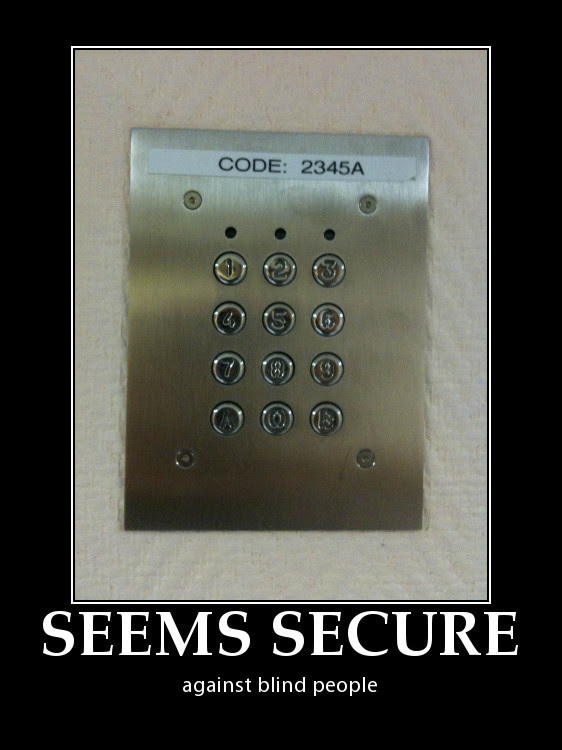 It requires a minimum mental acuity to translate the text into button presses on the keypad. Mid to late stage Alzheimers and dementia patients, for example won't be able to figure out how to open the door, but it still allows for the free flow of visitors to the wing. 10:1 says there's a "push to release" button on the other (non-memory care) side of the door. Wish I didn't need to know that, but I do.